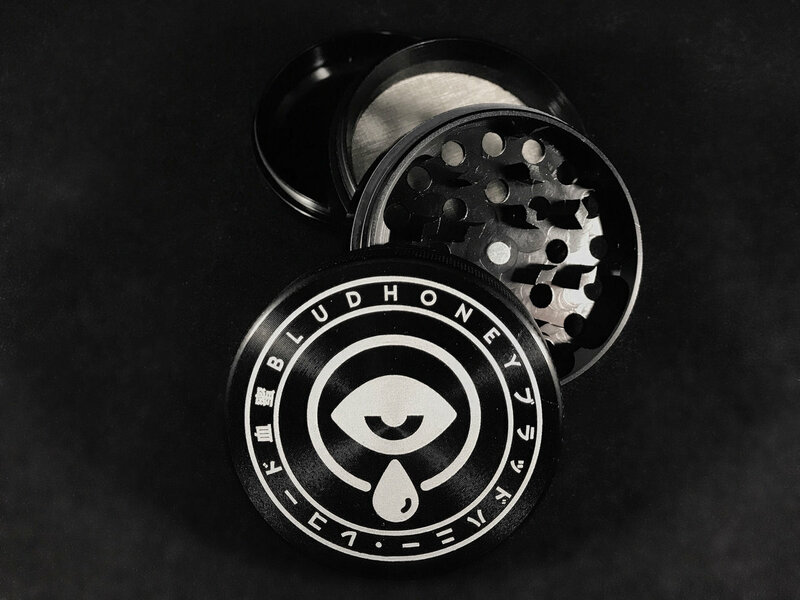 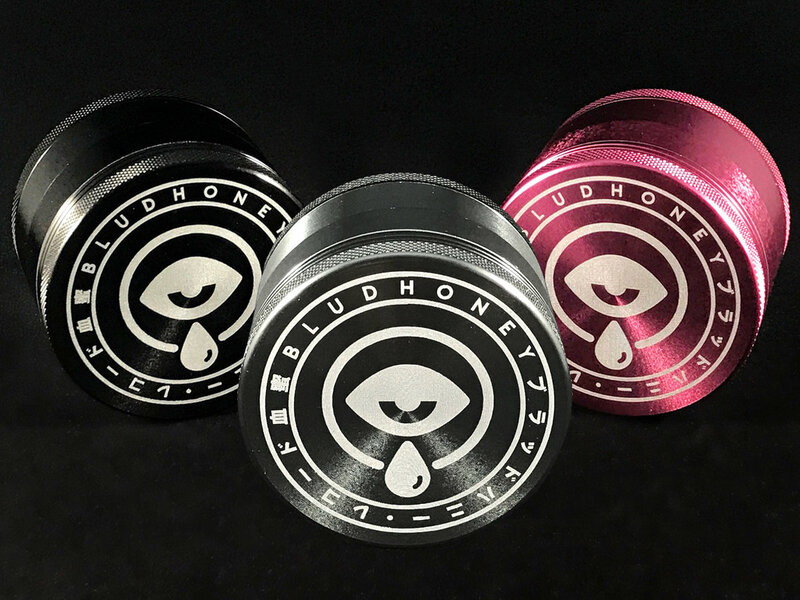 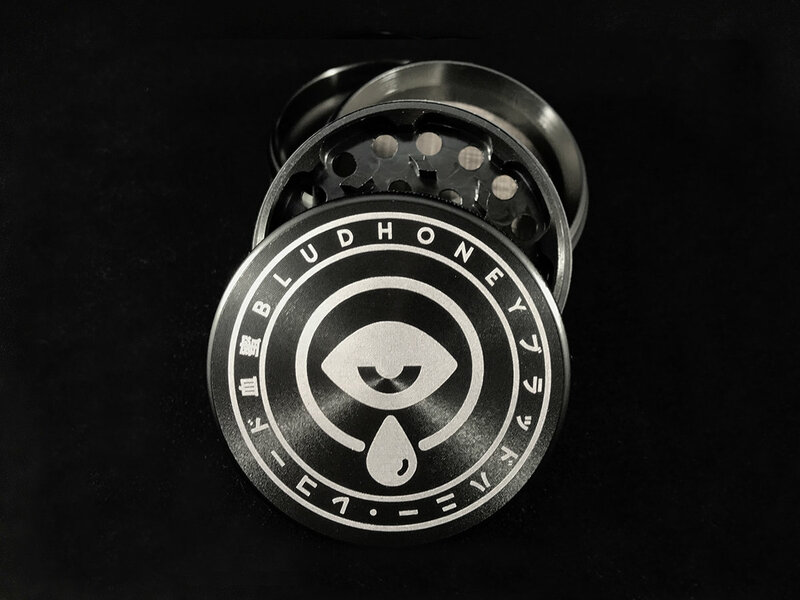 Premium quality laser-etched aluminum 4-piece herb grinder. 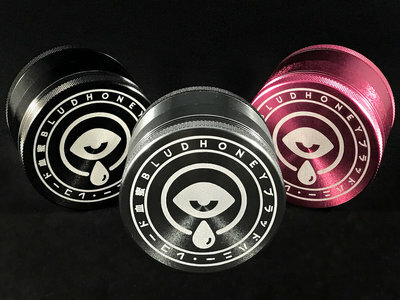 2.5" in diameter, heavy-duty. 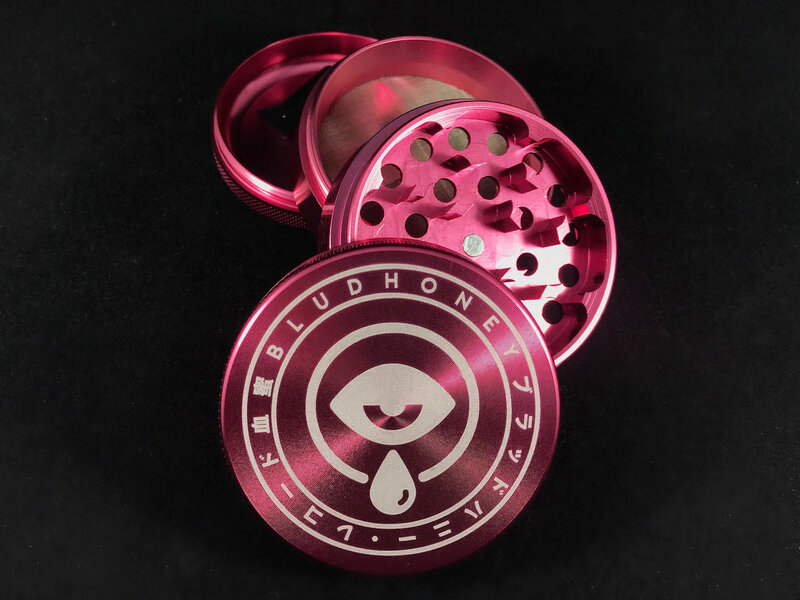 Includes carrying pouch and shovel tool.